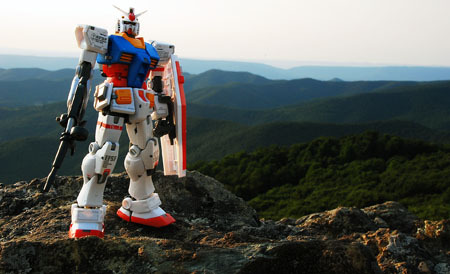 The Super HCM Pro RX-78 over the Shenandoah Valley. I remember getting my first Gundam Fix Figuration Figure, the Kampfer, and just getting blown away by the details of the figure and not to mention all the weapons it came with! One thing that I was dissapointed with was the pose ability which was limited given it’s size and armor. And with some you could pose them but some of it’s parts may fall off due to loose armor. 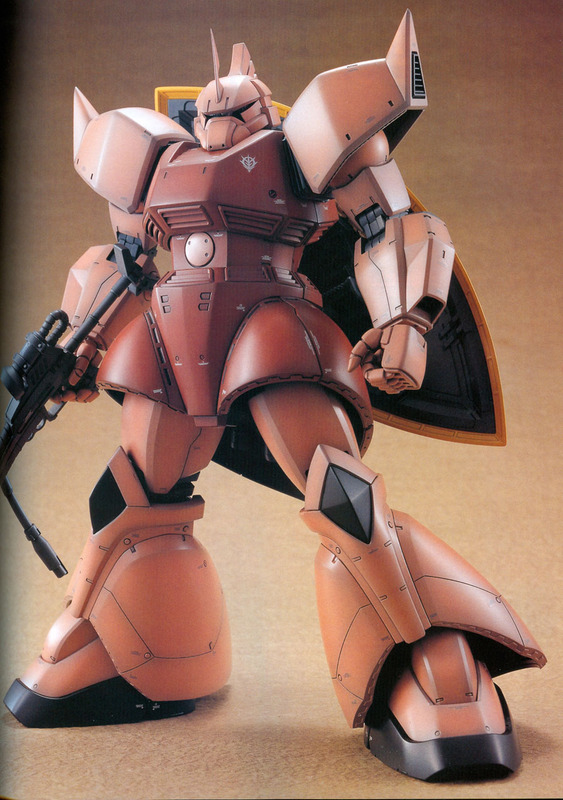 It would be nice if they could make a figure the same size as the Fix Figures with the same pose ability as an HCM….Can Bandai make a figure with the durability and sturdiness of an HCM and the detail and size of a Gundam Fix Figuration Figure? Is the SHCM such a figure? Also as I wait patiently (it’s hard!) 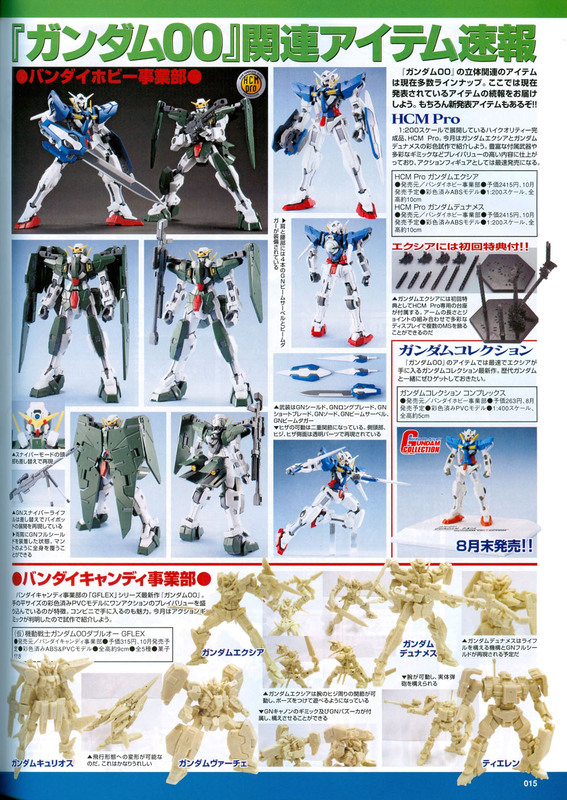 for the MG Full Burst Freedom to arrive, I went ahead and picked up Hobby magazines, Hobby Japan 9. 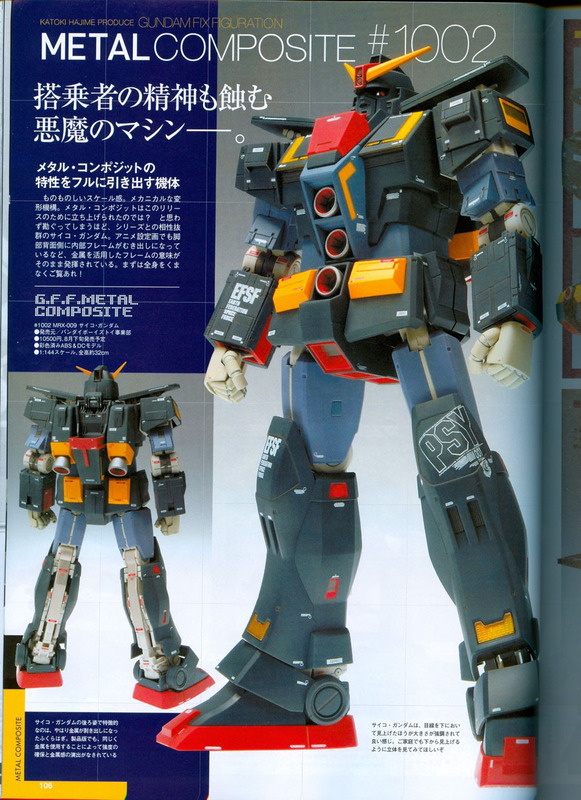 The Super HCM Pro RX78 is based on Amuro’s Gundam in the original Gundam series and it’s not the first figure/model to be made by Bandai based on the 78. But it is one of the best in my opinion! 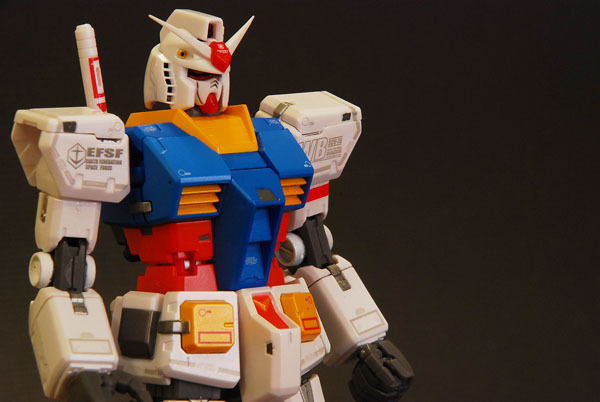 The RX78 is capable of a lot of poses that some of my Gundam models can do and it has some superb detailings rivaling that of the Gundam Fix Figurations. Like the the Fix’s it comes with a lot of weapons and detailed etchings on the figure and like the HCM it’s sturdy as hell! 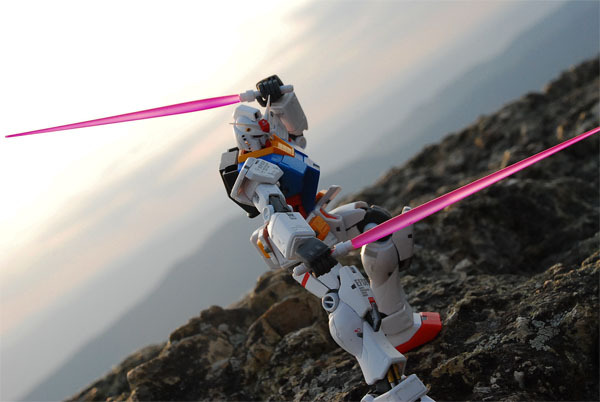 RX78 armed with beam sabers. Crouching for defense. Blasting away with the beam rifle. The figure comes with a beam rifle, 2 beam sabers, a beam javelin, hyper bazooka, hyper hammer….gundam hammer, super napalm….it’s fighter, and a docking station. I like the docking station but the fighter it comes with seems a little cheap after making the Skygrasper, it’s about the size of the shield. Oh yeah and it comes with a shield! Basically you’re getting a great figure and then some! 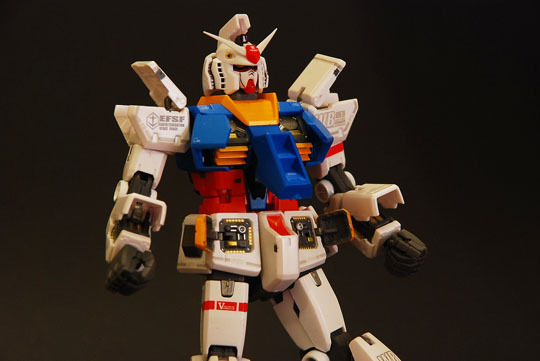 One really interesting thing that they did with the figure that I thought was pretty cool was that you can open panels and repair bays on the Gundam. Hyper bazookas getting a work out. Gundam bays open. Sun is parallel to figure, look at sabers. An outstanding figure in both the design and maneveurability of the figure, the SHCM RX78 is the best Gundam figure I’ve purchased. It looks like that Bandai will continue with the SHCM’s, which is great news and I highly anticipate the new figure whatever it may be. More shots of the figure can be found in the video below. 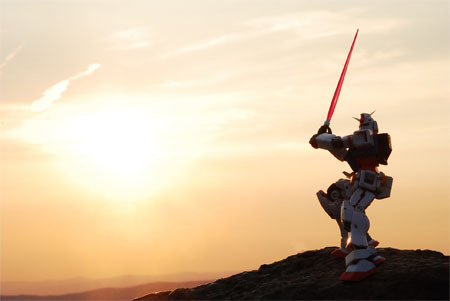 I originally intended to shoot the RX78 in D.C. but the opportunity never came, so instead of waiting I decided to shoot it in a familiar location that fit the music. I really like how it turned out. I’m hoping that Window Movie Maker continues to upgrade this software because it gives you a variety on what you can do. 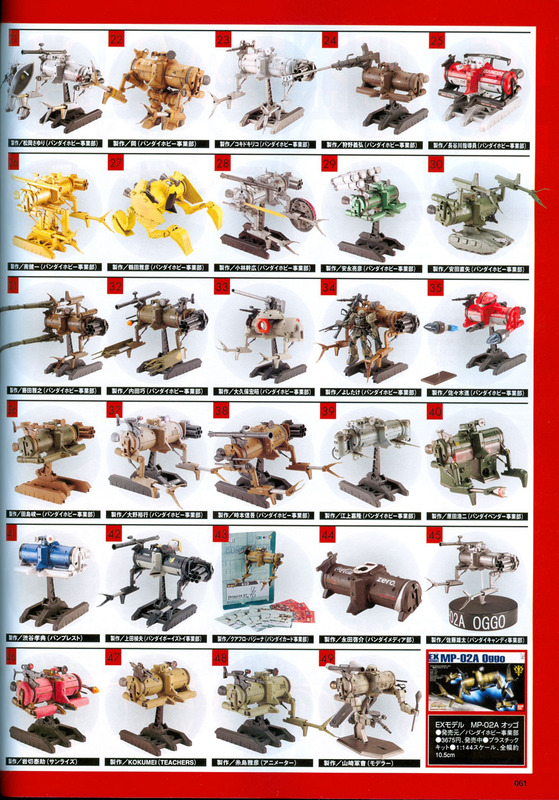 This issue’s got a lot of coverage on Gunam 00 and some of the new Gundam figures and mecha’s coming out. 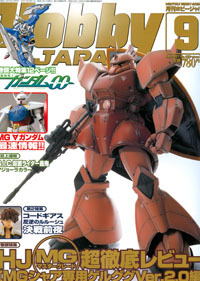 Char’s Gelgoog on the front cover looks pretty cool and I may get that. 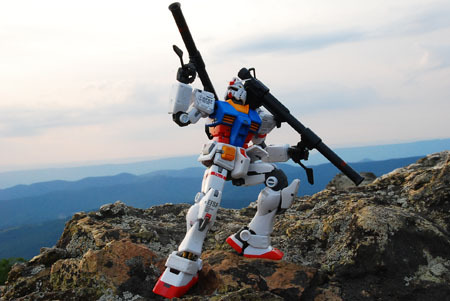 I’m not too thrilled with the MG Turn A Gundam. It looks too simple looking. 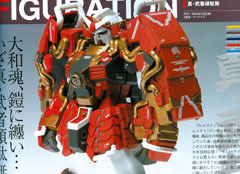 But on the other hand there is the Gundam Shin Musha Fix Figuration figure which looks outstanding! 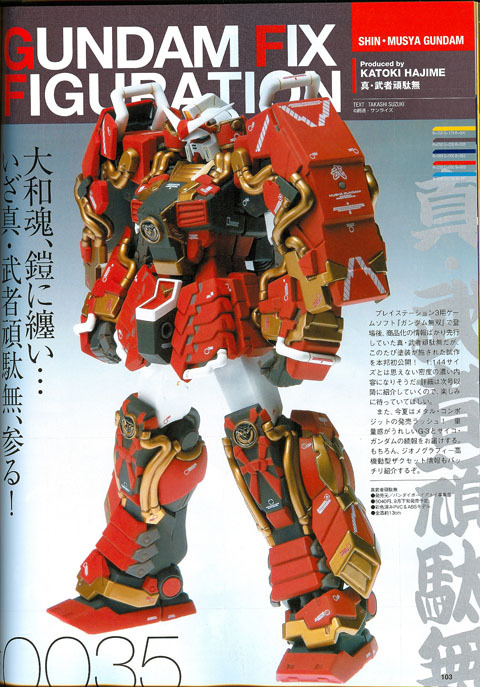 Coming out next month, this looks plain cool with it’s samurai influenced mecha armor. 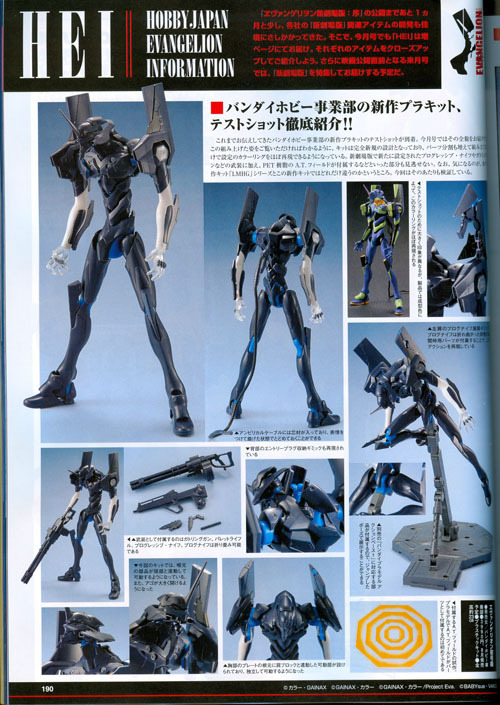 The 1st pic’s got some HCM Pro’s for Gundam 00 which look terrific the same can be said for the GFF’s on the 2nd pic. 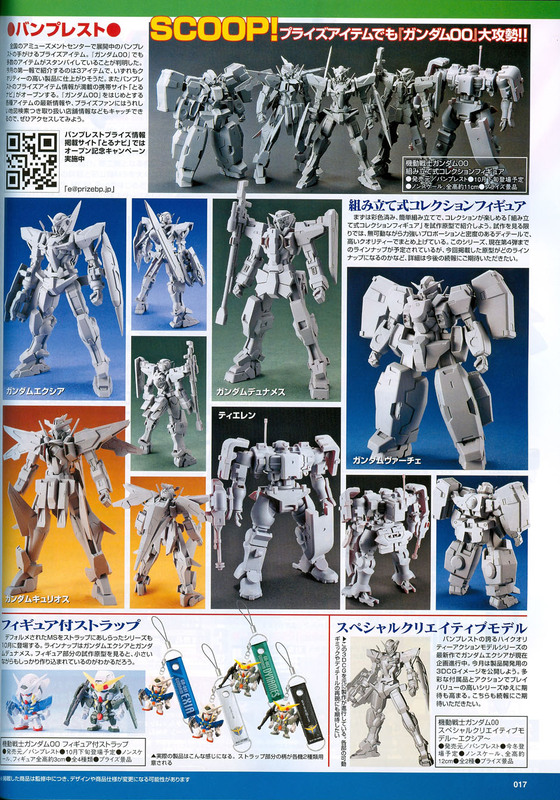 The Psyco Gundam on the 3rd pic is gigantic! From pictures seen throughout the internet it looks about the same size as a PG! Last Pic is Char’s Gelgoog. Pretty cool Evangelion figure. I really like the paint schemes used on it. I’ll be looking for this one. First up is Tatiana Custom Vanship from Last Exile. I still haven’t finished the series but the Vanships are a favorite airship of mine. 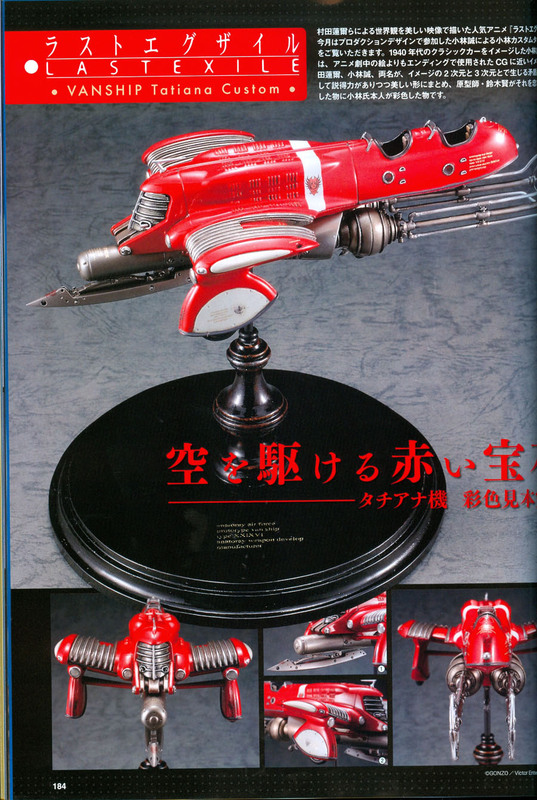 The 2nd pic is I’m assuming to be resin kits of space pods from Gundam. They look pretty cool and I wouldn’t mind custom building one for underwater photography. Last but not least some Moetan desings and a preliminary design for Ink’s figure. The series is pretty good and reminds me of a very perverted Card Captor Sakura anime…that duck is going to hell. 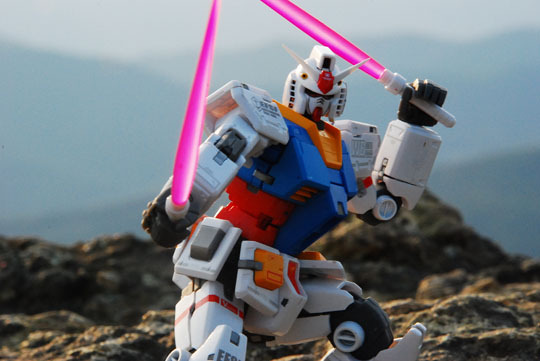 This entry was posted in Gundam Out-of-Box and Action Figure Reviews. Bookmark the permalink. Great video by the way, as always. 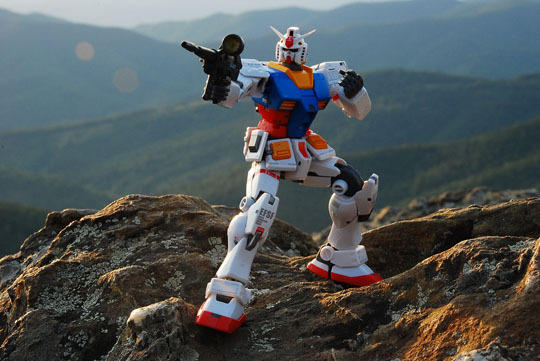 Great pics of RX-78! I’m not that bothered with the Fix Figurations at all. You can still pose them well enough, but you’re right about pieces falling. I find the newer figures don’t do that as much. The Super hcm is looking good. Nice pictures as usual surf! Ah Amuro’s first Gundam in hcm pro. I must say Bandai really did a good job on this figure. Never thought a super HCM pro looks nice. THe only Gundam figure I have is Cosmic Region stuff, and while they look great, they are kinda fragile. HCM has the advantage of being pre-assembled, saving you all the hassle of cutting and joining parts. The latest batch of HCMs seems to go one step further than previous models. Even so, I still prefer HGUC over this due to the cheaper pricetag, and nothing gives you a sense of satisfaction than your own self-assembled kit. Hello. I found your site through the Gundam Board in actiion forum. You’ve got a terrific site here. I don’t have any Gundam figures at the moment, but I may have to get this one. That picture of the sun in the background is great! Excellent top pic! I’m not really into the Gundam Figures that much, but i do have a couple of the HCM pro’s. They’re good but they’re kinda small. I got the figure a few weeks ago and I’m pretty glad that I made the purchase. The only thing that I hate about it, and it could be just mine, is that the thumbs are kind of fragile and can fall easily when moving them around. Your pic with the Hyper Bazookas is excellent! Maybe a wallpaper in the future? I’m not really a fan of the Shin Musha GFF, but the Psyco looks superb! I didn’t think it was going to be that big. I never own a HCM/SHCM or a GFF figure. 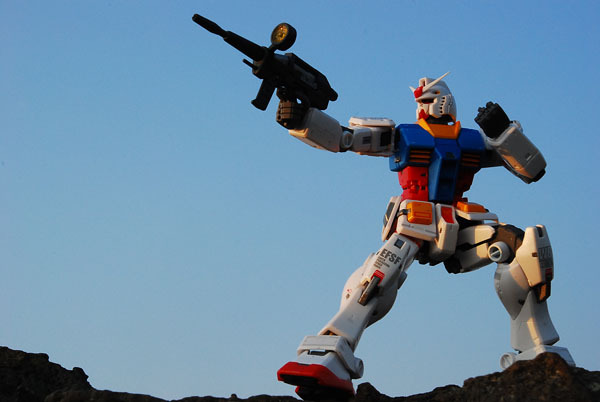 The RX-78 looks good. The details on it are superb, not to mention it’s sturdy. Definately a plus compare to the GFF line. 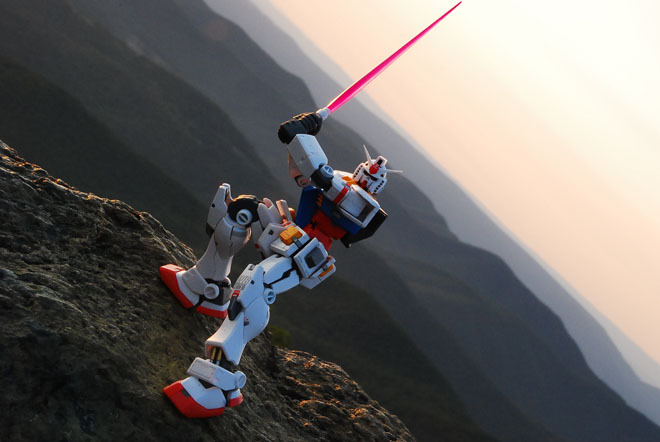 Thats a nice video there and great pictures as well can I ask where do you buy your Hobby Japan From? Your photos are very nice! The video presented is also well done. 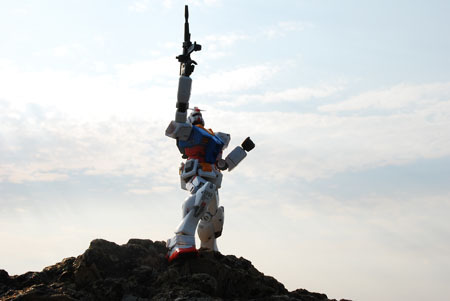 John Barry’s score for “Wolves” is a fitting companion piece to the RX-78. The HCM pro’s, at least in my perspective, have been the best figures to be produced by Bandai. SHCM is the next step up. @Rsnumber2=I learned that the hard way. My 2nd GFF was the GM sniper and it could pose, but pieces kept on falling off here and there. 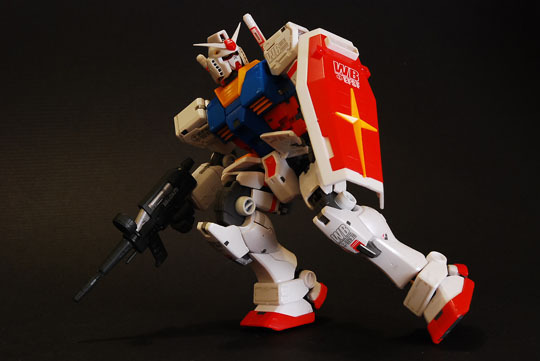 The HCM RX-79 g is awesome! @Dunkirk=My most recent GFF was the Stamen that came with the weapons system, and that’s a pretty sturdy figure due to the fact it doesn’t have any interchangeable parts on it. I think Bandai is getting the message. @Toji=That they did! I hope Bandai continues with SCHM long into the future. @Lanie-emon=I wanted to get the Cosmic Region Freedom, but now that I’ve heard about it’s parts falling off, I’m less inclined to now. @Hangmen=I understand that point, that’s why I have a greater appreciation for my PG Strike. @Anthony P.=Welcome! That was a bit difficult to get. I kept on changing my settings from manual to auto to get something other than the sun and it worked. @Super Striker=I was a bit surprised when I got my first HCM pro. I was thinking it was going to be the size of a Fix Figuration figure. I got over it though. @John USC=You know that’s one thing I forgot to mention. The thumbs are probably the most delicate part of the figure and can fall of easily. @Yasseranas=I do prefer the pose ability of the SHCM & HCM to the GFF’s. But I hear the new GFF’S have a new frame that perhaps will alow greater pose ability. @Akiraman=I get mine from http://www.animenation.net They’re pretty fast but they sell out pretty quickly especially if it’s a popluar j-mag. @Danny=Thanks, I think I take better pics if the figure/model’s not too big. @Shinjiro Toida=Thank you. I really wanted the video done with photos from D.C., but it worked out well with the music. Wohh! 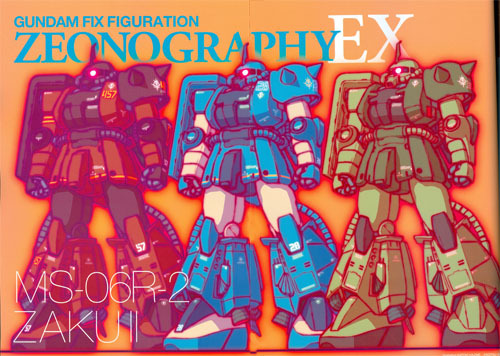 That fix figuration Musya (0035) is even more detailed than the custom one I saw at Chara Hobby! I might get my first fix figuration on that model then. Btw, how flexible are the HCM Pro models? 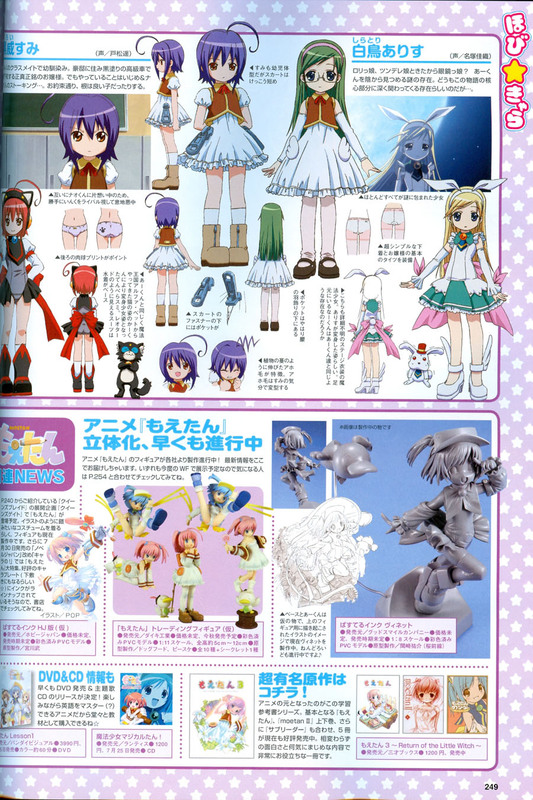 is it close to those Revoltech models? I don’t own a Revoltech yet, but I’m pretty sure that they are more flexible than HCM pro’s. That’s not to say that HCM”s aren’t that flexible. To give you an idea of how flexible HCM’s are look at the link below and at the pics entitled “batter up” and “taking out zeon scum”.